As an integral part of China’s rubber chemicals industry, Shandong Yanggu Huatai Chemical has developed seven varieties of green eco-friendly rubber chemicals. The company’s products include standard rubber chemicals (PVI, TBBS, CBS, TBSI), rubber protective wax, pre-dispersed rubber chemicals, insoluble sulfur and processing promoters. 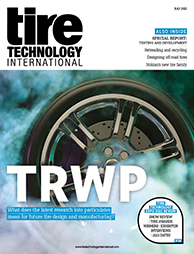 To learn more about the firm, whose clients include Michelin, Bridgestone, Goodyear, Continental, Pirelli, Kumho, Hankook and other internationally renowned tire makers, visit the stand at Tire Technology Expo 2019.